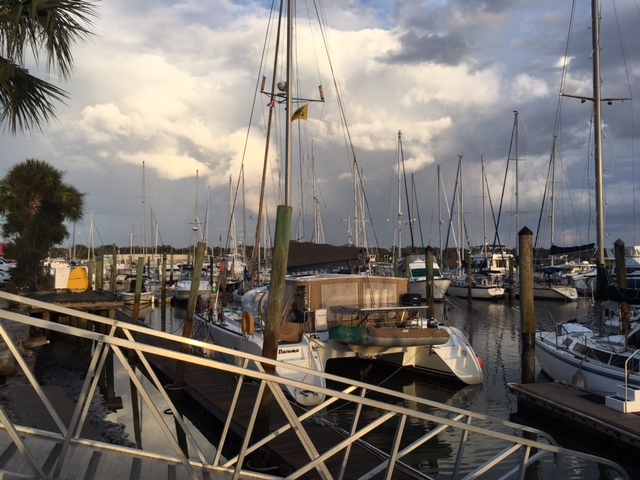 Trip Log – Day 395 – Gainesville FL to St Augustine FL | How Will We Live Tomorrow? Another day of terrific bicycle touring in a state I find much more bike friendly than anticipated. 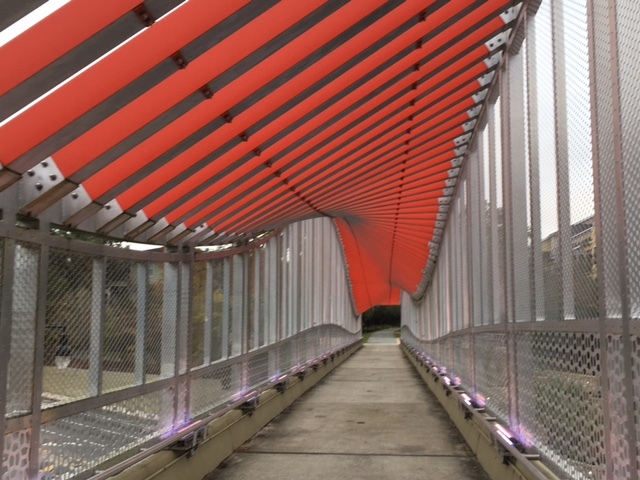 After two hearty bowls of steel cut oats, coffee and oranges right off the tree, I crossed the double helix pedestrian/bike bridge that connects Gainesville to the University of Florida medical center. 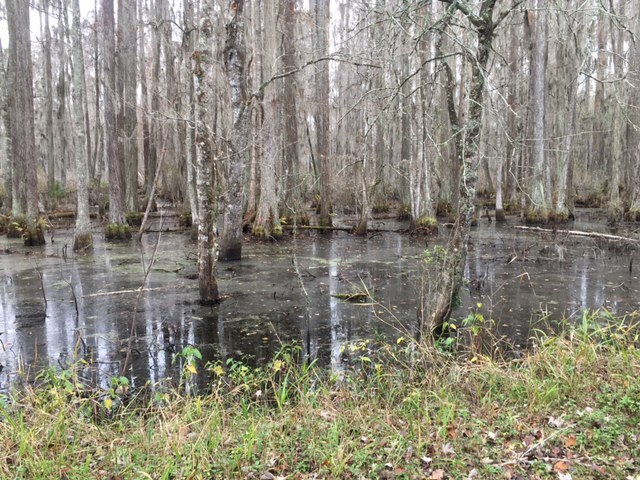 I rode sixteen miles along the Hawthorne Trail, skirting Payne’s Prairie, ascending to hardwood hammock and rolling along cypress swamps. 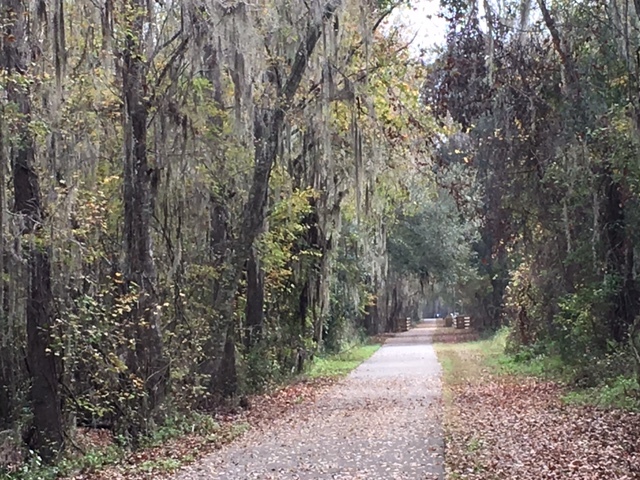 From Hawthorne I enjoyed designated bike paths along FL 20 and 207 all the way to St. Augustine. The tailwind on my final push was handy since my hosts asked me arrive early to go to a party: always a good motivation to pedal hard. Jackie and Crunch are recent landlubbers; for three years they lived on a boat. 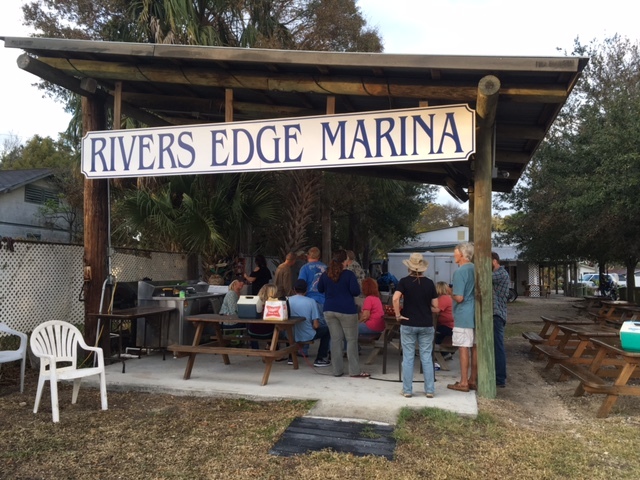 The party was at their old marina. I learned about an entirely new way to live from well-tanned folks with few possessions and myriad tales of how they weathered Hurricane Matthew. 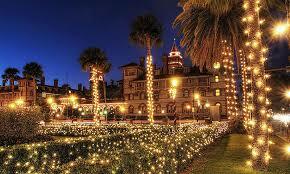 After nightfall my hosts drove me through downtown St. Augustine’s famous Nights of Lights Festival. Jackie, who is a professional tour guide, provided a rich narrative to the sparking illumination. This entry was posted in Bicycle Trip Log and tagged Bicycle Touring, Gainesville FL, Hawthorne Trail, Nights of Lights, River's Edge Marina, St Augustine FL. Bookmark the permalink.